Instead of saying, ‘That s the kind of suggestion that leads us to a novel solutions’, the room goes quite, they look up to the ceiling, roll their eyes and return to the discussion. Risks are a measure of people. People who do take them are trying to preserve what they have. People who do take them often end up by having more. 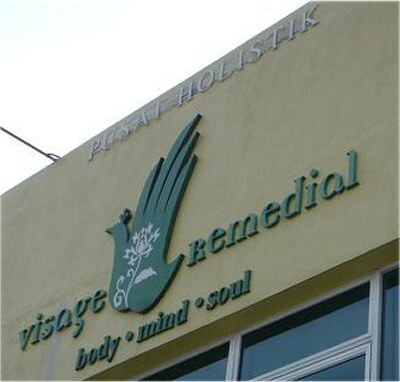 Visage Remedial is a holistic spa which takes care of “YOU” in terms of beauty, mind and soul. Yet there is more to the story… actually a lot more. Because there is also WWBE which stands for Wisdom Within Beauty. WWBE is a ‘spirited name’ for a wonderful new concept of natural cosmetics; an initiative born a long time ago by Wai Peng, the owner of Visage Remedial Spa in Petaling Jaya (near Kuala Lumpur, the capital of Malaysia). Her spa is run by a dedicated team under her leadership which is visionary and creative. For me, it’s spiritual. Wai Peng is that special kind of person who really embodies the philosophy of Wisdom Within Beauty products. Beauty is not just about how someone looks; it is also about one’s deportment, one’s elegance and how one carries beauty within themselves. 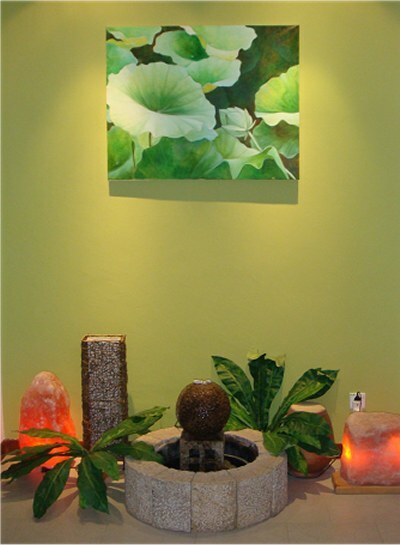 Wai Peng’s Visage Remedial Spa is not just a spa; it is also a meditation centre where clients and friends regularly gather to rejuvenate themselves spiritually. I visited her spa a few weeks ago and fell in love with its serenity. Wai Peng and her team bring to her clients true manna for the body, mind and soul – through a variety of excellent personalized beauty and massage therapies. It’s no surprise customers come back over and over again. 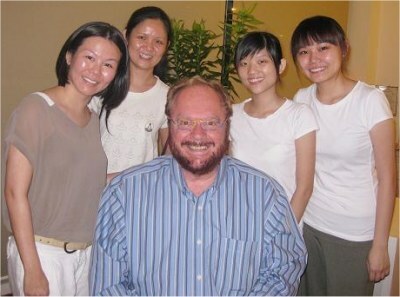 It is a well-known fact that Visage Remedial Spa never advertises but is always packed and busy with customers! Visage Remedial’s Spa treatments follow the natural path, something which grew out of owner Wai Peng’s belief in staying true to oneself. For example, everyone who works in the spa do not wear makeup. The treatment rooms are constantly diffused with a blend of pure essential oils, a soothing blend created by Wai Peng herself which makes the spa incredibly calming. Once you enter the spa, you will feel you’ve entered a different world. Beautiful works of art, including Buddhist paintings, add to the serenity of the spa. 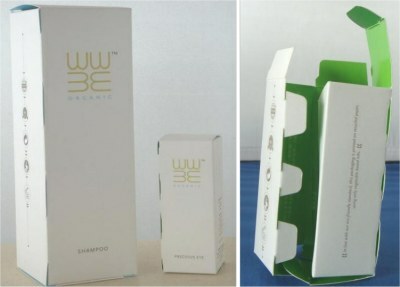 I did mention earlier WWBE natural cosmetic products, right? Well… Wai Peng’s WWBE products stand for ethics, values and certified organic ingredients; inside WWBE bottles and tubes are natural goodness! I was also amazed at the creativity of the WWBE product packaging. All WWBE boxes can be opened and closed simply by unfolding and folding like origami. All carton boxes hold well without glue. 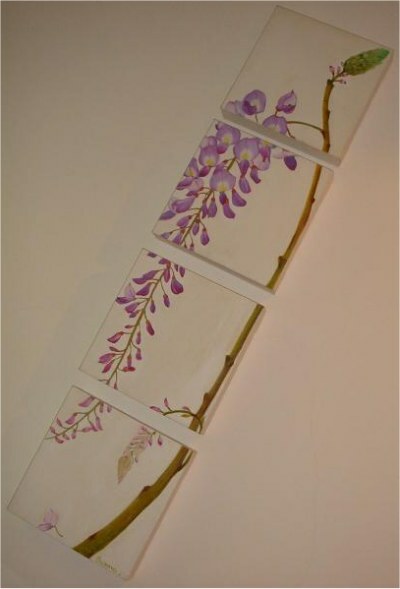 How ingenious! As Wai Peng cares for the environment, she did away with additional instruction inserts. 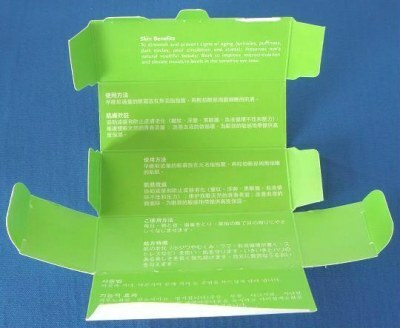 Once you open up the box, you will see the instructions of the product printed inside the packaging. This saves paper and at the same time, makes full use of the inside of the box. Isn’t it clever? 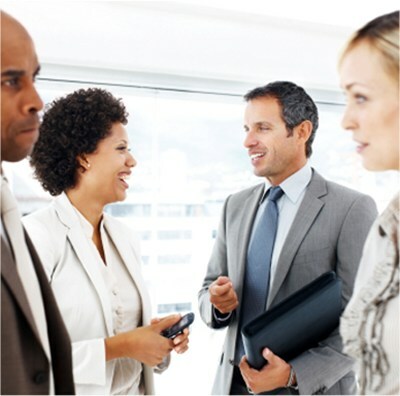 WWBE products are mainly designed for the export market in Japan and Korea. In Malaysia, of course, they will only be available through Wai Peng’s spa. 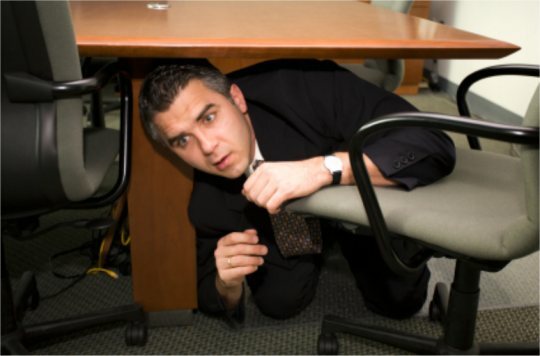 Surprise…. !! 🙂 I am proud to mention that WWBE products are developed in conjunction with the R&D team of Paul Penders Co. at Langkawi UNESCO Geopark. 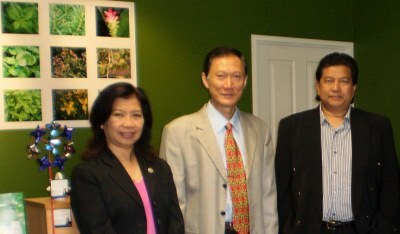 All of us were very proud with the honor of the visit of the Consul General of Malaysia at the Paul Penders office in Perth, Australia. The Consul General was quite keen to see the Paul Penders line of natural cosmetics that was recently introduced in Australia. 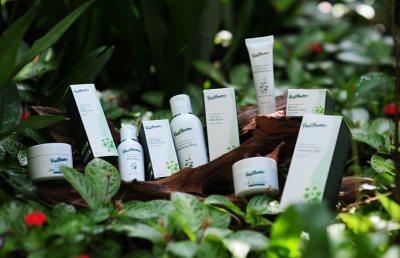 There was especially interest because our line of natural organic cosmetics is, although American developed, now proudly produced in Malaysia with Paul Penders’ own R&D team in our Headquarters located at the beautiful rainforest island of Langkawi UNESCO Geopark. Paul Penders Products tested and sold worldwide. Following the visit of the Consul General there was also a show called” “1 Malaysia Best Carnival” at Claremont, Australia. 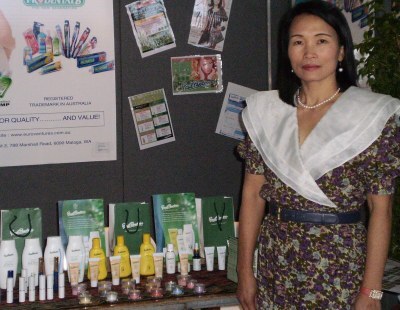 Paul Penders products were shown to a diverse group of Australian visitors coming from all over the country. We wish Calvin and Bee of Paul Penders Australia continued success with their hard work in promoting our fine products in “down under”! THE best people can be difficult. They are single-minded, they have tunnel vision. That’s what makes them good. They are reluctant to compromise. They can be intimidating, especially to the young, but if you approach them with an attitude that you want to do something well, they will respond positively. Because they want to do something well too. 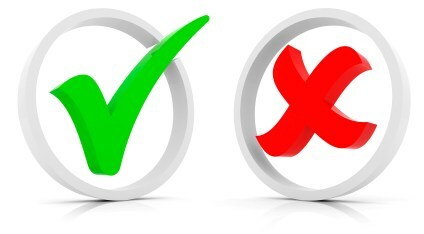 And if you are clear about what you want and strong about getting it, though there may be arguments, they will respect you (if not at the time, afterwards – I didn’t say it was going to be easy). The chances of you coming away with a superior job is not guaranteed, but it’s greater than if you had worked with Mr. Average Nice guy. All cosmetic ingredient lists today must use INCI (International Nomenclature of Cosmetic Ingredients) names cosmetic ingredients. The use of any other name is no longer allowed. 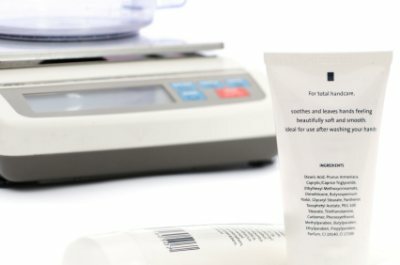 INCI names are scientific names mandated on the label of every cosmetic. INCI is the international designation for the declaration of ingredients. Do not be fooled into believing that “if you can’t pronounce it, it can’t be good for you.” Few ingredients below are difficult to pronounce yet they are natural. Most of them even certified organic as well. Paul Penders Alpinia & Teetree Cleansing Wash:Aqua/Water, Sodium PEG – 7 Olive Oil Carboxylate, Cocos Nucifera (Coconut) Water, Decyl Glucoside, Glycerin, Alginate, Aloe Barbadensis (Aloe Vera) Leaf Juice, Panthenol, Xanthan Gum, Sorbic Acid, Mentha Piperita(Peppermint) Oil, Melaleuca Alternifolia (Tea Tree) Leaf Oil, Angelica Archangelica (Angelica) Extract, Arnica Montana (Arnica) Flower Extract, Calendula Officinalis (Calendula) Flower Extract, Matricaria Recutita (Chamomile) Flower Extract, Sambucus Nigra (Elderflower) Flower Extract, Zingiber Officinalis (Ginger) Root Extract, Panax Quinquefolium (Ginseng ) Root Extract, Lonicera Japonica (Honeysuckle) Extract, Humulus Lupulus (Hops) Extract, Equisetum Hyemale (Horsetail) Extract, Juniperus Communis (Juniper) Fruit Extract, Lavandula Angustifolia (Lavender) Flower Extract, Melissa Officinalis (Lemon Balm) Leaf Extract, Urtica Dioica (Nettle) Extract, Centella Asiatica (Pennywort) Extract, Mentha Piperita (Peppermint) Leaf Extract, Rosemarinus Officinalis (Rosemary) Flower Extract, Salvia Officinalis (Sage) Extract, Hypericum Perforatum (St. John’s Wort) Extract, Curcuma Longa (Turmeric) Root Extract, Hamamelis Virginiana (Witch Hazel) Extract, Archillea Millefolium (Yarrow) Extract, Citrus Grandis (Grapefruit) Seed Extract, Olea Europaea(Olive) Fruit Oil, Prunus Amygdalus Dulcis (Sweet Almond) Oil, Alpinia Officinarum (Alpinia/Galangal) Root Extract, Ascorbic Acid, Tocotrienol Tocopherol, Tocopheryl Acetate , Sodium Copper Chlorophyllin, Ananas Sativus (Pineapple) Fruit Extract, Carica Papaya (Papaya) Fruit Extract, Coenzyme Q10 (Ubiquinone) , Retinyl Palmitate. All cosmetic ingredients must be INCI that the majority of consumers cannot pronounce, yet is the law.